From exhibitions to national galleries, the team at Aneela Rose PR has been even more busy than usual the past week. 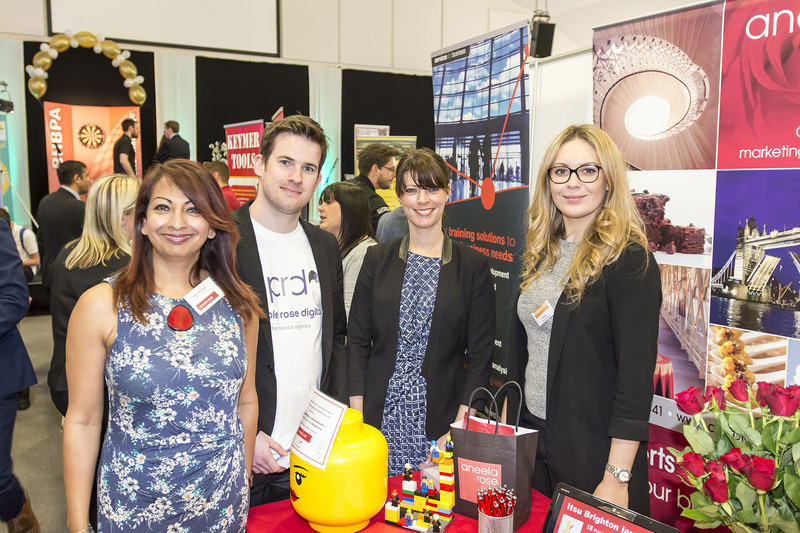 On Friday 15th May, we attended the Burgess Hill Means Business exhibition organised by the Burgess Hill Business Parks Association. The event was held at The King’s Centre in Victoria Park and welcomed over 70 local businesses. We took it in turns to man the stand and network with fellow exhibitors and visitors all keen to explore what Burgess Hill has to offer. 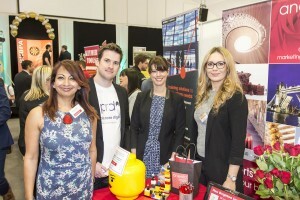 The day was a huge success for many of the businesses that took part and a great opportunity to reconnect with other local business men and women. Let’s also not forget the darts competition that took place, our PR Executive, Jess, managing to even hit the bull’s eye! We have recently been appointed as the Public Relations agency for the Museum of the Order of St. John. Earlier this week Aneela, Francesca, Jess and Stewart visited the museum in Clerkenwell to take a tour of the fascinating and historic venue located at St. John’s Gate. 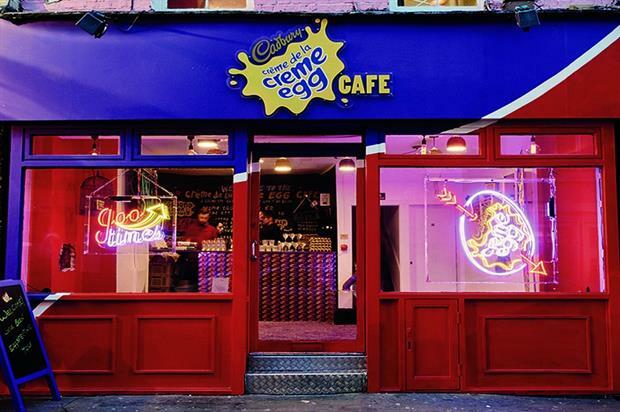 We will be working with the in-house marketing and events team managing the PR for the re-launch of their eight unique and diverse venue areas. 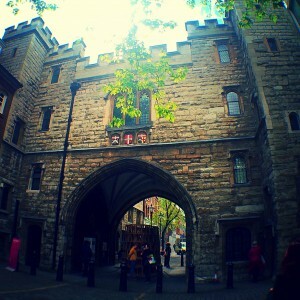 The ARPR team visited the stunning St. John’s Gate venue & museum. With the launch of the new exhibition ‘No Colour Bar’ fast approaching we took a trip into the City to visit the Guildhall Art Gallery and see the progress being made recreating the Huntley’s Bogle-L’Ouverture Walter Rodney bookshop. Still in the early stages of installation by renowned artist and curator Dr. Michael McMillan, it was exciting to see the exhibition taking shape. Our biggest highlight of the day was meeting the man himself, Mr Eric Huntley. It was a true honour to meet Eric and hear first-hand some of the struggles, triumphs and achievements he and his late wife Jessica both experienced living in London from the 1960’s. 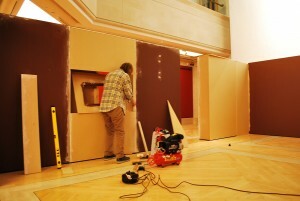 A sneak peek at the installation of the No Colour Bar exhibition at Guildhall Art Gallery. For more information about what The Roses are up to, follow us via Facebook, Twitter or LinkedIn. We welcome feedback and opinions or feel free to just say hello!